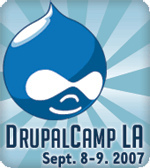 Drupal CampLA is coming soon. With the Bukowski Tour just a couple weeks away, it was time to drive the route beginning to end, to work out any kinks, and of course to document more buildings where important novels of the 20th century were written that are now slated for the wrecking ball. 5124 De Longpre Ave was the first stop on the East Hollywood leg of the tour. We knew of its boarded and fenced condition already, but the post advertising it as a Vacant Lot For Sale on Craigslist, was quite a shock. This is where Bukowski lived when his publisher John Martin of Black Sparrow Press put him on a monthly stipend for life. This offer was his impetus to quit the Post Office, where he had worked for almost 12 years straight, and devote himself to writing. With his internal clock conditioned for the emotional tailspin 6:18 pm (the start of his shift) brought, he instead girded his loins, and with a few beers and a fear of writing produced Post Office in a few weeks. Experiences around women on De Longpre would also inspire his watershed novel, Women. As far we know, unlike the John Fante “Ask the Dust” apartments on South Berendo, no homeless alcoholic has yet died inside this abandoned structure, but there’s still time… to acknowledge this city’s literary landmarks and architectural legacy in a better way than this. Join us on the bus to see the beautiful bungalow court apartments just opposite, with their soaring bare-breasted mermaid fountain sculpture that neighbor Buk almost certainly ogled.